Red Bull has become known for its extreme events. From teaming up with Aston Martin to creating a radical supercar to performing 5G stunts in a plane, Red Bull has been finding new ways to create innovative experiences. 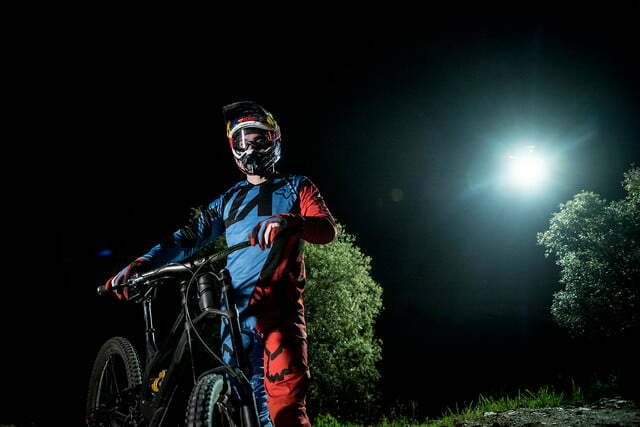 For the firm’s latest adventure, Red Bull has sent French mountain biker Loic Bruni downhill in the middle of the night. 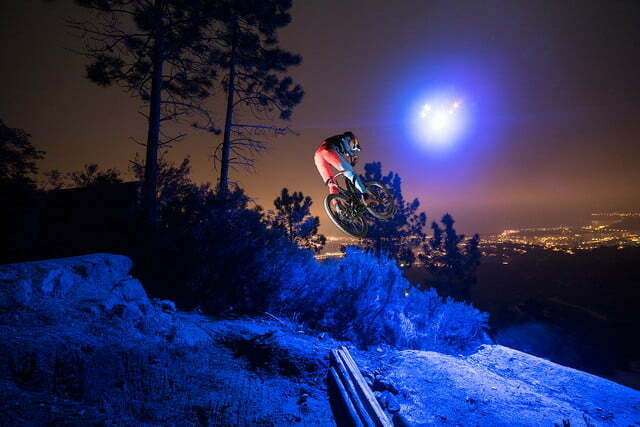 Lighting his way was nothing more than a drone equipped with bright LEDs. 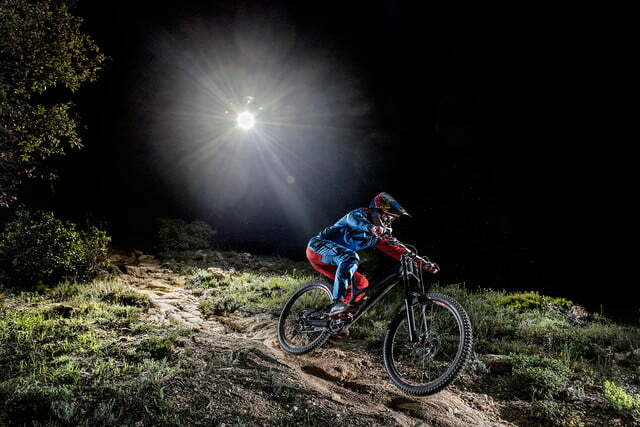 The experience cements Bruni as one of the most fearless riders on the planet. It’s not hard to see why Bruni is so comfortable with the sport. His father, Jean-Pierre, was also a well-known downhill mountain biker. Bruni’s recent wins include becoming the 2012 World Junior Champion and earning his elite gold at the 2-15 UCI World Championships in Andorra. Director Hadrien Picard had to create the drone lighting from scratch. “Technically it was a good challenge for everyone on the sport side and on the technical side,” explained Picard. 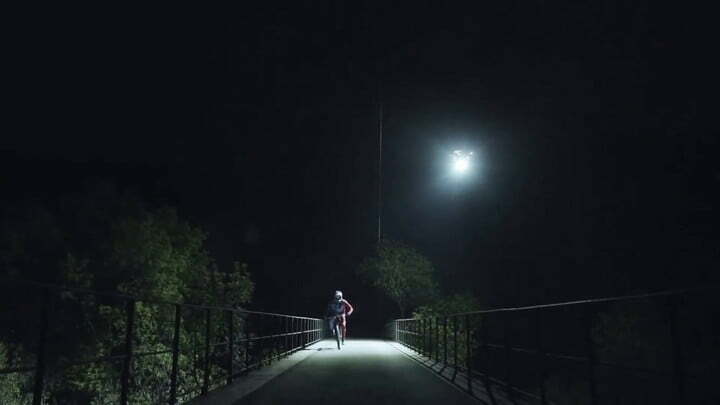 In order to make it safe for the rider, the lighting had to attach to a gimbal before connecting to the drone. This way, the lighting can always point at the biker regardless of the drone’s position. Motion controls allow the controller to steer the lighting in an intuitive way. To keep the whole system cool enough to operate, the lighting system features liquid cooling. The final result is a trail full of mesmerizing shadows bending and twisting around it.